It’s six days from the official start of hurricane season, but we already have our first named storm. 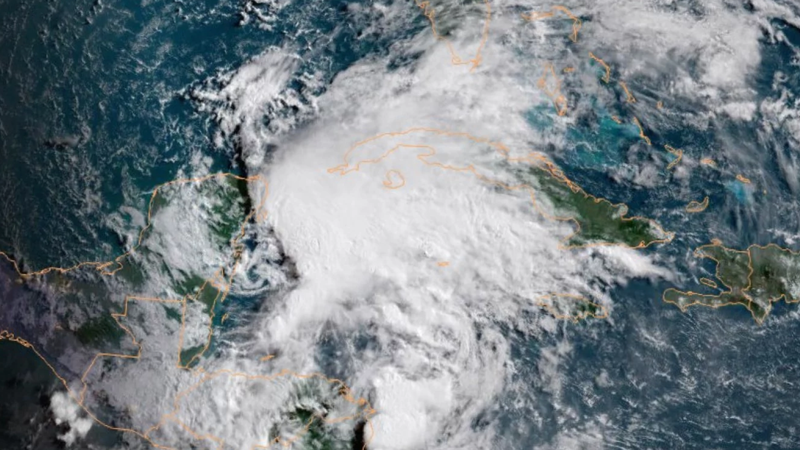 The National Hurricane Center has started issuing advisories on Subtropical Storm Alberto, which...wait, what in tarnation is a subtropical storm? During hurricane season, your tropical weather usually comes in three flavors: tropical depression, tropical storm, and hurricane. Those systems are all characterized by a warm core and generally symmetrical winds that spin around that core. But every now and then, nature throws a curveball. And that’s what this whole subtropical storm thing is. It borrows some of the characteristics of those tropical systems as well as extratropical storms, which are your nor’easters and what Sandy technically was when it made landfall in New York. Those storms tend to have a cold core and a bigger, less symmetrical wind field than hurricanes. Subtropical cyclones don’t borrow all these characteristics, of course. For example, there’s a curious case of subtropical cyclones with tiny wind fields which were referred to in the early 1970s at neutercanes (h/t Ryan Maue, a meteorologist at weather.us, for this giggle-inducing factoid). 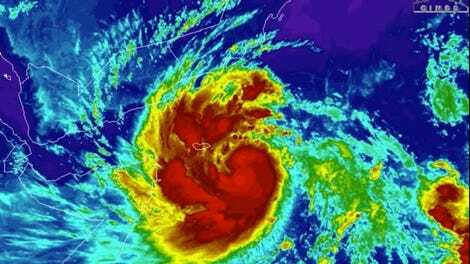 In Alberto’s case, the storm is getting its energy from convection, a key driver of tropical weather. But the NHC advisory notes that the storm is being knocked around by strong winds in the upper atmosphere that are affecting its circulation. These winds are the main reason for its subtropical classification. I took to Twitter for more answers on what’s going on with Alberto. Maue noted how the upper level winds are also displacing convection to the east as another sign of the storm’s subtropical nature. NHC forecaster Eric Blake said the system also exhibits more of a cold core at the moment, adding an additional reason for its subtropical classification. There’s yet another wrinkle to the subtropical vs. tropical designation. Once a subtropical storm has hurricane-force winds in excess of 74 mph, it officially becomes a hurricane, even if it still has subtropical characteristics. Alberto, however, is not forecast to become a hurricane. All of this is to say there are very technical rules for classifying storms, but you shouldn’t get caught up in what any particularly storm is called, aside from the geek out factor. What really matters are the impacts. And this storm means business. So regardless of what forecasters are calling it, if you live in an area that could see impacts, treat Alberto seriously.